I am using my HK Pilot32 (Pixhawk) since last year with my phone and DroidPlanner 2(now Tower). 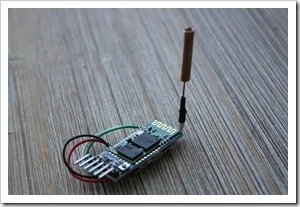 I have tested it as well with one HC-05 Bluetooth module as with 433Mhz Telemetry module. Using it with the Bluetooth module I don’t need to attach anything to my smartphone. But with the 433Mhz I have much better range. How can I get the great range without attaching something to the phone? Idea: using the 433Mhz telemetry module to transmit the data from the Pixhawk to the Bluetooth module and this one to my phone. Well I was not the first one with this idea, and I find a Bluetooth telemetry bridge from Event38. Looks good but the 150$ price is just too much in my opinion. So I decided to stick with my idea and made it by myself. 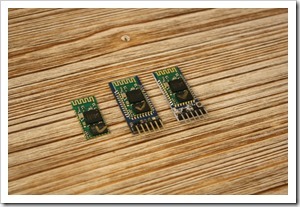 Both the HC-05 Bluetooth module and the HM-TRP 433Mhz module work on 3.3V. 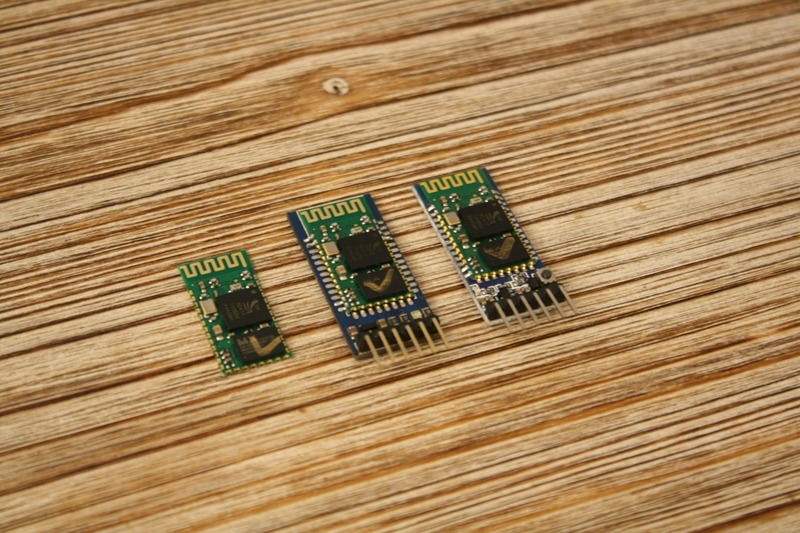 But to use these with simple small 3.7V LiPo Battery, we need not the bare HC-05 Module. Take the one with integrated voltage regulator and pins already soldered (like the second or third one on the picture below). If you already have a 433Mhz Kit from 3DRobotics or HobbyKing you need to unsolder the HM-TRP module from the receiver module (the one with the USB Plug). Or as said you can buy only the bare HM-TRP module from Aliexpress. 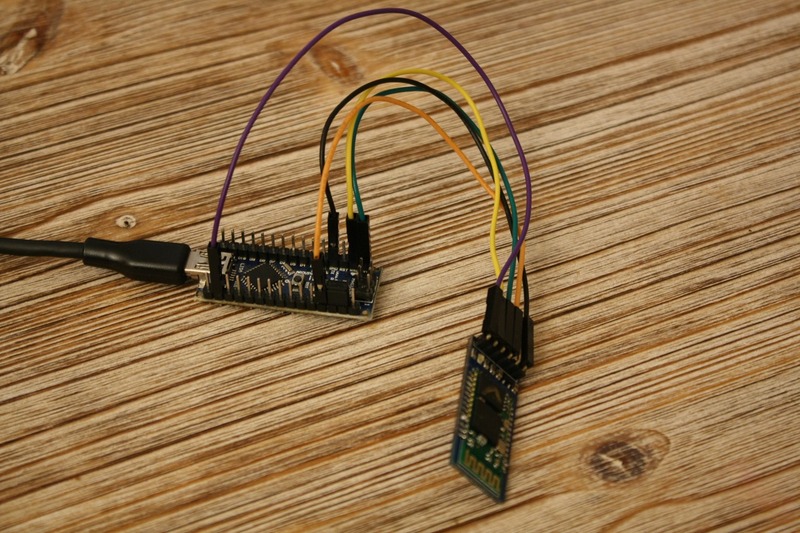 Download the datasheet for the module to check how it looks like and the pins descriptions. 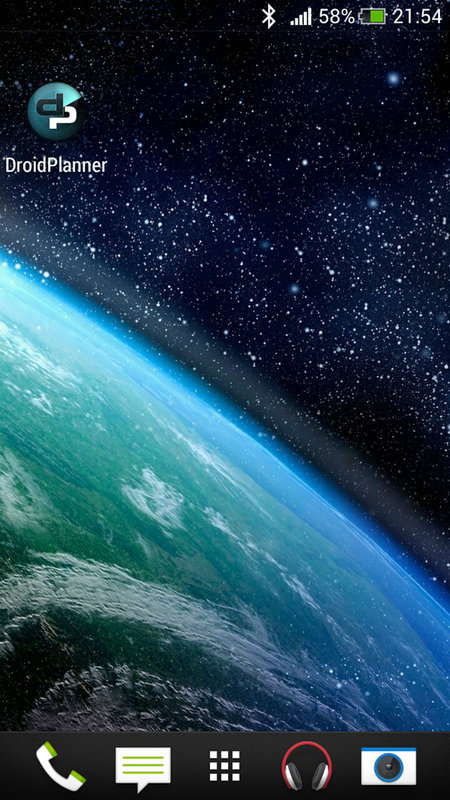 First both modules should use the same baud rate for communication. The standard for the 3DR Robotics module is 57600. So we need to change the baud rate for the Bluetooth module to be the same. You can check how to do this here. A bit tricky was to solder the antenna to the tiny module. First you need to remove the plastic black cover. Cut the coax cable and remove the PVC shield. Then take the metal shielding and without cutting it, form it as a cable and solder it to the GND Pin of the HM-TRP module. The tiny cable under the shielding layer is the cable for the Antenna. Solder this one to the ANT Pin of the HM-TRP module. I used hot glue to place the HM-TRP 433Mhz module on the backside of the Bluetooth module, so it looks better and its more compact. 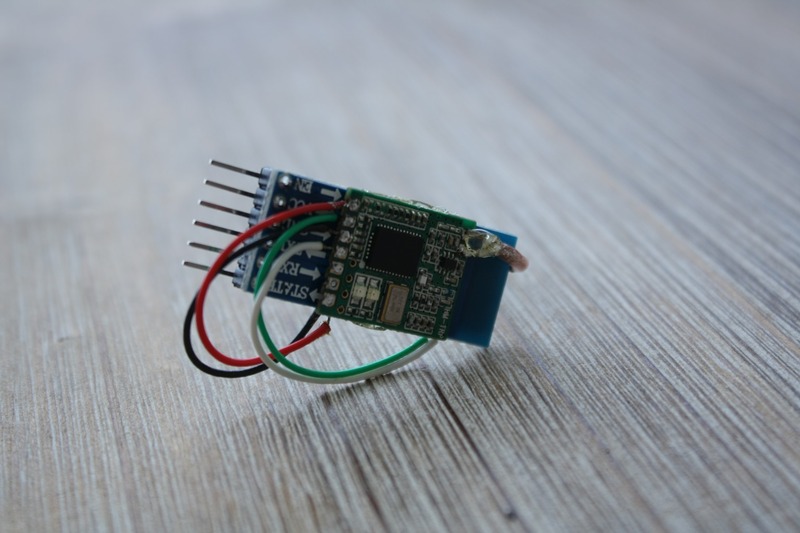 Now you can connect the pins of the Bluetooth module to the battery and have your own Bluetooth Telemetry Bridge. If you want to change some of the settings of your HC-05 Bluetooth module, like baud rate, password or the name of the Bluetooth module, you can do it easy and fast with your Arduino. 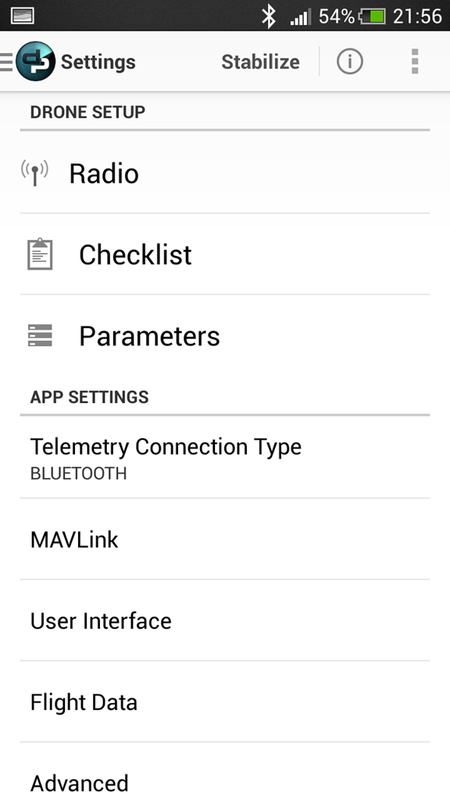 I have done this to connect my Pixhawk to DroidPlanner over Bluetooth. There are different HC-05 modules on the market, but it should work with all of them. On the picture below you can see a bare HC-05 module, 5V tolerant HC-05 module and 6V tolerant HC-05 module with a button. I prefer the last one, as the button makes the changing of the settings even easier. To change any settings of the module, it should be in the so called “AT Mode”. 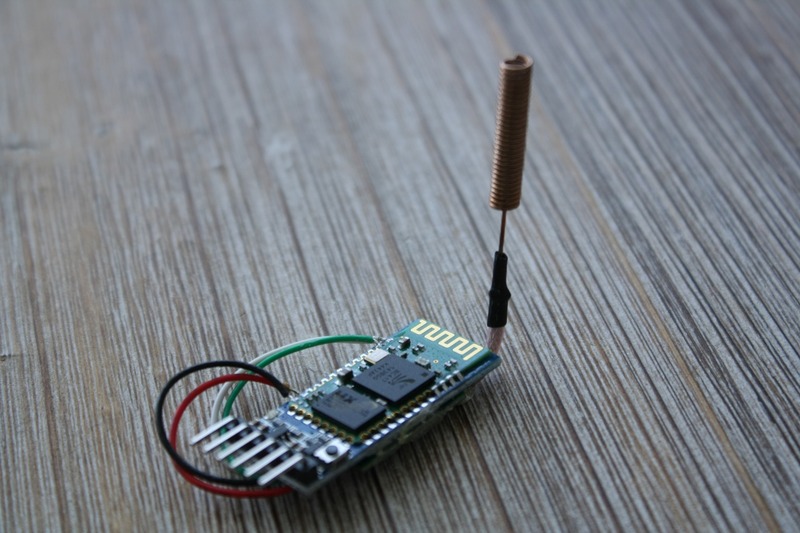 How to put the Bluetooth module in AT Mode: The “Key Pin” of the module should be set to “High”. This means we should apply voltage to this pin at the same time we power the module. On the last module, the button does this job. It should be pressed when powering the module with 5V. On the module without button, we need to supply 3.3V to the “Key Pin” when powering on. Here is an example how to connect the module to the Arduino Nano v3. Note that there should be an jumper on GND and RST pin. 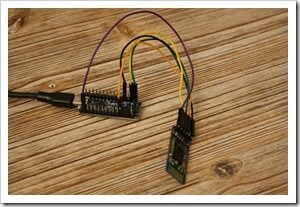 By doing this, the Arduino will only act as a simple FTDI adapter. 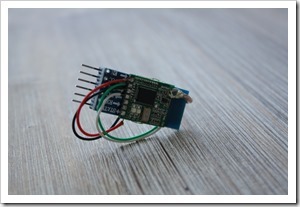 … and at last the 5V Bluetooth to 5V Arduino by keeping the button of the Bluetooth pressed. Or on the module without button, connect the Key Pin Bluetooth to 3.3V on Arduino. If the HC-05 is in AT Mode, the red LED will blink at every 2 seconds. Then start the PuTTY program (download link), configure the right COM Port (Check it in the Device Manger) and set the Baud Rate to 38400. This is the baud rate for AT Mode. Then click “Open”. 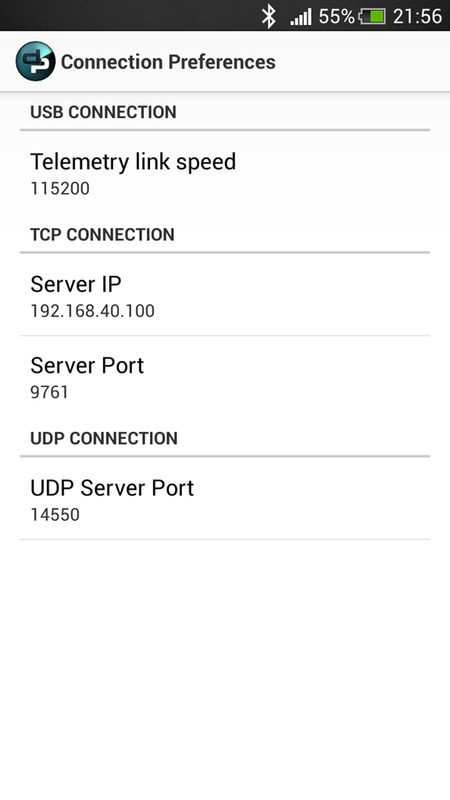 In in one of my previous posts I described how to connect my MultiWii And Megapirate AIO board with Mission Planner over Bluetooth. 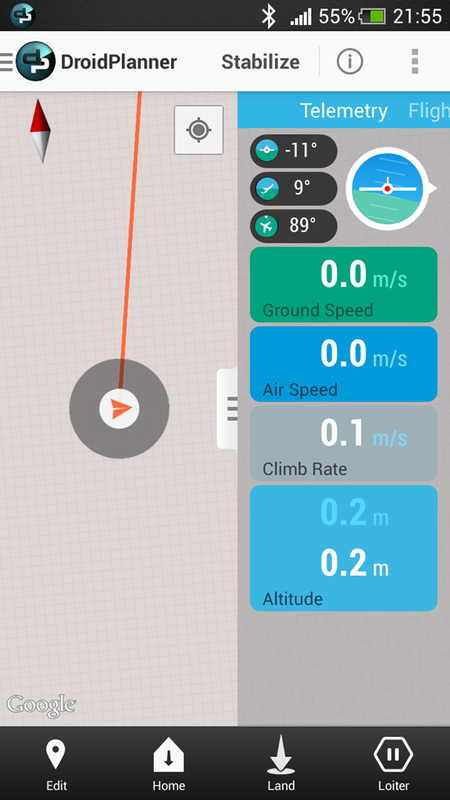 As I don’t want always to have my laptop when flying, but always having my HTC One X (running Android 4.2.2) with me I tried to connect the ArduCopter (the MegaPirate version of it) with my HTC over Bluetooth. I searched the Google Play Store for Droid Planner and installed it. But I always got an error “DroidPlanner has unfortunately stopped” as I tried to connect over Bluetooth. So I searched again and happily find the new version of DroidPlanner. It is totally new and very good looking. Great job and my admits to the developers. And with this new version I don’t need to do the trick as in Mission Planner first clicking on “Connect” and then connecting the power supply to my Bluetooth-module.